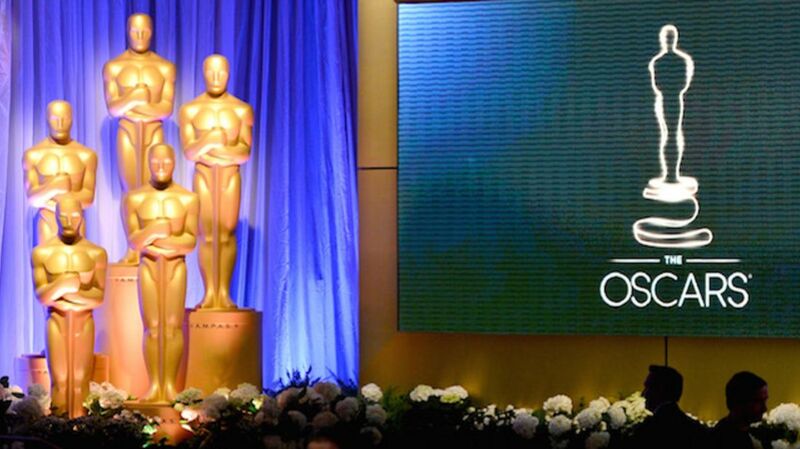 The voting process that determines which films and filmmakers become Oscar nominees is a long and complicated undertaking that involves approximately 6000 voting members and hundreds of eligible films, actors, actresses, directors, cinematographers, editors, composers, and more. To even be eligible for a nomination—let alone win that coveted gold statuette—involves a strict procedure governed by specific guidelines, all tied to the illustrious history of the Academy of Motion Picture Arts and Sciences itself. Here’s a little bit of insight into just how the nominations work, and how they’re chosen. For all the glitz and glamour the Oscars conjure up, it's actually an accounting firm that makes it happen. The Oscar voting process is managed by an accounting team at PricewaterhouseCoopers, who have handled the duties of mailing out ballots and tabulating the results for more than 80 years. The firm mails the ballots of eligible nominees to members of the Academy in December to reflect the previous eligible year with a due date sometime in January of the next year, then tabulates the votes in a process that takes some 1700 hours. To become one of the approximately 6000 voting members of the Academy, you'd better be in the business. Aside from requiring that each member has "achieved distinction in the motion picture arts and sciences" in their respective fields, candidates must also meet quantitative standards. Writers, producers, and directors must have at least two screen credits to their names, while actors must have credited roles in at least three films. Candidates in the technical branches—like art directors or visual effects supervisors—must be active in their fields for a certain number of years (just how many varies based on the particular area of expertise). If wannabe Academy members don't have the necessary credentials, they can also find two or more current members to officially sponsor them; their membership is then either approved or denied by an Academy committee and its Board of Governors. But the easiest route to Academy membership is simply to get nominated: Those who were nominated for or won an Oscar the previous year and are not currently a member are automatically considered. Once inducted into the Academy, an individual can belong to only one branch. Ben Affleck, for example, can only be an Academy member as an actor and not as a director, and Brad Pitt can only belong to the Academy as an actor and not a producer. Members vote on potential nominees for standard awards that are given to individuals or collective groups in up to 25 categories, yet members from each field may only vote to determine the nominees in their respective field. Directors only vote for Best Director nominees, editors only vote for Best Editing nominees, cinematographers only vote for Best Cinematography nominees, and actors only vote for nominees in each acting category. Yet all voting members are eligible to vote for potential Best Picture nominees. The Academy has strict rules that determine what people or films can be nominated. In order to submit a film for nomination, a movie's producer or distributor must sign and submit an Official Screen Credits (OSC) form in early December. That's not just a full list of credits; you need proof that the film meets certain criteria: In order to be eligible, the film must be over 40 minutes in length; must be publicly screened for paid admission in Los Angeles County (with the name of a particular theater where it screened included); and must screen for a qualifying run of at least seven straight days. In addition, the film cannot have its premiere outside of a theatrical run—screening a film for the first time on television or the Internet, for example, renders the film ineligible. Then, the ballots are sent out. Voting members are allowed to choose up to five nominees, ranked in order of preference. According to Entertainment Weekly, "The Academy instructs voters to 'follow their hearts' because the voting process doesn’t penalize for picking eccentric choices ... Also, listing the same person or film twice doesn’t help their cause—in fact, it actually diminishes the chance that the voter’s ballot will be counted at all." Once members send back their ballots, PricewaterhouseCoopers begins the process of crunching the numbers. Specifically, they're looking for the magic number—the amount of votes in each category that automatically turns a potential nominee into an official nominee. To determine the magic number, PwC takes the total number of ballots received for a particular category and divides it by the total possible nominees plus one. An easy example is to take 600 potential ballots for the Best Actor category, divide that by six (five possible nominees plus one), thus making the magic number for the category 100 ballots to become an official nominee. The counting—which is still done by hand—starts based on a voter’s first choice selection until someone reaches the magic number. Say Ryan Gosling reaches the magic number first for his performance in La La Land: the ballots that named him as a first choice are then all set aside, and there are now four spots left for the Best Actor category. The actor with the fewest first-place votes is automatically knocked out, and those ballots are redistributed based on the voters' second place choices (though the actors still in the running retain their calculated votes from the first round). The counting continues, and actors or different categories rack up redistributed votes until all five spots are filled. According to Entertainment Weekly, "if a ballot runs out of selections, that ballot is voided and is no longer in play, which is why it’s important for voters to list five different nominees." (The magic number drops as ballots are voided, by the way.) The process is ballooned for the Best Picture category, which can have up to 10 nominees and no less than five. Deciding the winners is much simpler: After the nominees are decided, the whole Academy gets to vote on each category. Each member gets one vote per category—though they're discouraged from voting in categories they don't fully understand or categories in which they haven't seen all the nominated films—and the film or actor with the most votes wins. That process takes PwC just three days. An earlier version of this post appeared in 2014.